Simon Read Ltd is a company based in Worcester who offer a wide range of property maintenance services. They offer quality work on kitchen installations, bathroom fitting, laminate flooring, plumbing and many more. 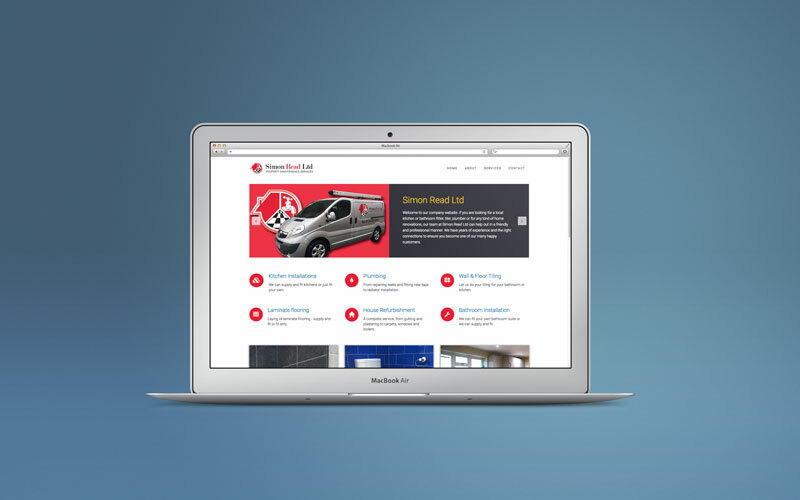 Simon approached me about redesigning his website that was built many years ago. It was outdated and did not reflect how the company had evolved since it began in 2005. He now has a team working for him so offers a wider range of home services for his clients. We discussed the features and visual ideas of the new build and he left it to me to come up with a design which worked with his brand image and showcased the work he does. The website will expand further over the coming months. I was also asked to provide a local citation service to help the online marketing aspect of the business. This will help the website come up in the search engines and be seen by more potential customers. 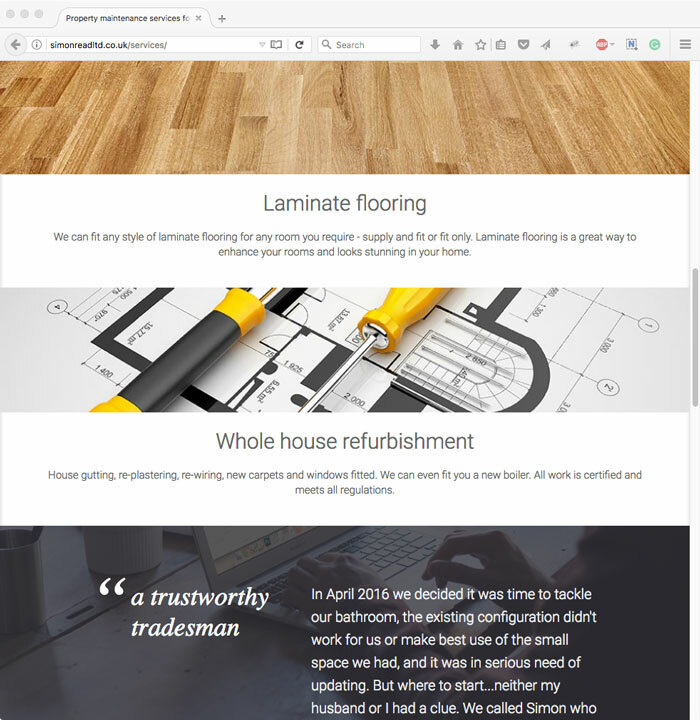 Within days of the site going live, Simon had a call from someone who was impressed with the new website and has asked Simon to refit 3 bathrooms in a building complex. Two weeks later a new client asked for a bathroom installation after finding his website. This just goes to show how good design, functionality and a search engine presence can really help you achieve more clients.